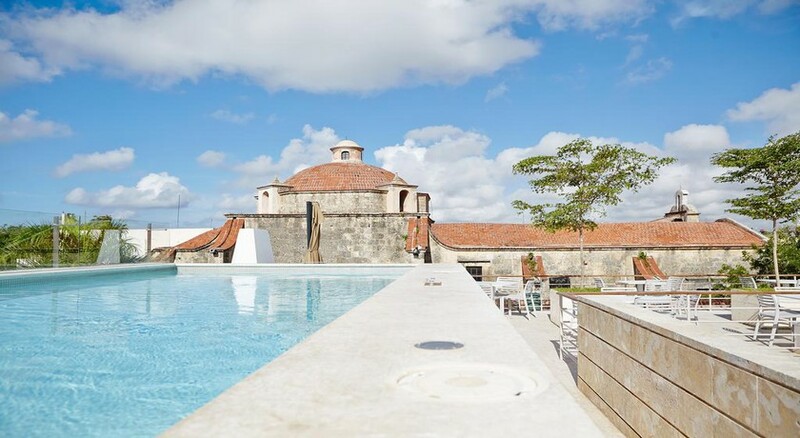 Hotel Billini in Santo Domingo is located at a distance of 1.4km from the Puerto de Santo Domingo and 1.2km from the popular Playa Montesinos. Guests can enjoy free Wi-Fi in all the areas. An inviting outdoor pool enables you to soak in and rejuvenate yourselves. An on-site restaurant at the hotel offers scrumptious meals. The property is located in the Colonial Zone which is a great choice for travellers interested in museum, history and architecture. 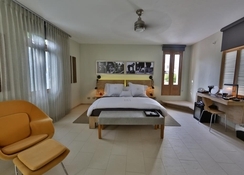 This hotel is set in the colourful Colonial Zone and has prominent landmarks around. This high-end hotel is set in a magnificent 16th century restored building with marble flooring. The Mercado Modelo is about 1km from here, and it is just 1.2km from the Montesinos Beach. Guests can reach here via the Las Americas International Airport at 28km. 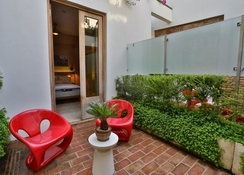 The rooms feature private balconies with courtyard and old town views. 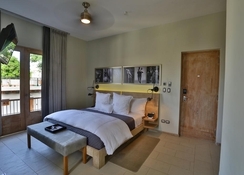 The plush suites here boast of smart TVs, free Wi-Fi and Bang & Olufsen sound systems. The well-stocked minibars enable you to treat yourselves to some snacks in between meals. Guests can find a coffee maker and writing desks in the rooms. Some rooms also offer kitchenettes and private pools. Guests can also access a business centre with fax and photocopy services. The Castil Restaurant here serves local Caribbean cuisine for lunch, dinner and breakfast. This stylish restaurant has a terrace offering town views. A poolside bar serves exotic drinks. A Spanish courtyard here is a great place to relax. Guests can find a rooftop pool with a terrace, a nice spot to relax and soak up the sun. There is also a poolside bar offering alcoholic and non-alcoholic drinks. Guests can also relax in the Spanish Courtyard area. There is a fitness centre for those who wish to stay active and the hotel offers Yoga classes. The Spa offers rejuvenating massages and therapies.